Complex systems science changes the way we think about science and its role in society. It goes beyond the traditional, reductionist approach of focusing on the parts of a system, to integrating the network of relationships within and between systems. These relationships produce the "emergent" behaviors we see in all physical, biological, social, economic and technological systems. This approach allows researchers to address questions once considered to be outside the reach of science, including human behavior, social interactions and the consequences of policies and decisions of our society. The New England Complex Systems Institute is at the forefront of this field. We develop novel mathematical approaches and apply them to issues important to science and society, such as preserving biodiversity, understanding the origins of altruism, improving the healthcare system, and preventing ethnic violence or economic crisis. We combine a quantitative foundation in physics, computer science and mathematics with computer simulations and high dimensional data analysis to describe real world patterns of behavior. 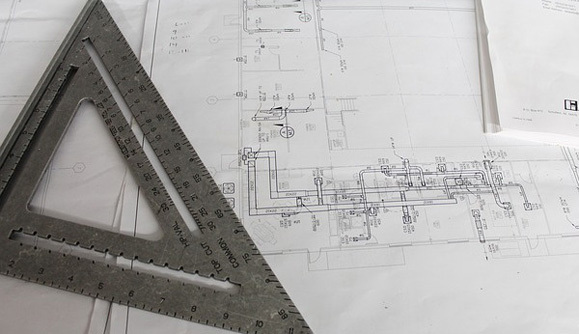 We model the evolution of complex systems and how they can best achieve their goals. Through its research, NECSI is expanding the boundaries of knowledge and reframing social problems as scientific ones. Amid a devastating drought, does it still make sense to use corn for fuel? From biochemical reactions to global development, complexity has arisen as a unifying feature of our world. In this arena of complex systems, new approaches are central to advancing our understanding and capabilities. Today, as individuals and as a society, we are faced with highly complex challenges. When we don't solve them correctly they rapidly become crises. This book explains how we can use complex systems research to solve complex problems in a variety of domains. NECSI's Courses in Complexity offer two intensive week-long courses on complex systems science and its applications. The courses consist of lecture and supervised group projects. At the end of the courses, we expect participants to return to their home institution with tools relevant to their research and new insights for future work. This school is usually held twice a year, in Winter and Summer. Advances in science are being sought in newly available opportunities to collect massive quantities of data about complex systems. How to relate this data to solving many of the challenges facing humanity is a more complex problem. This is the first text describing the modern unified study of complex systems. It is designed for upper-undergraduate / beginning graduate-level students, and covers a wide range of applications in a wide array of disciplines. This engineering-focused paper covers the role of complex system science in integrating human beings and technology. It provides perspective on how the concept of complexity is affecting science, engineering, and finally, technology integration. 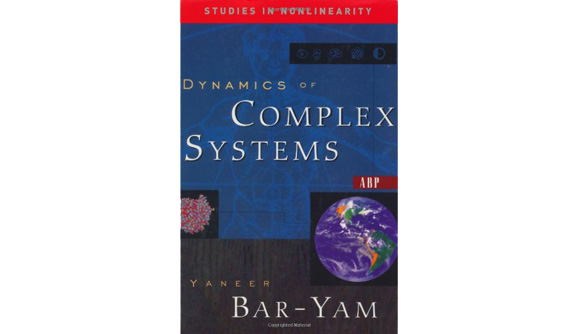 Complex systems analyses range from detailed studies of specific systems, to studies of the mechanisms by which patterns of collective behaviors arise, to general studies of the principles of description and representation of complex systems. NECSI discusses one of the most important questions in fundamental biology, how do new species form? Do we need to age? NECSI challenges the mathematical assumptions of traditional evolutionary theory and shows aging is programmed, and not an inherent biological breakdown. In our increasingly complex, interdependent world, it is important to recognize how policy changes in one part of the world can have important effects in another. Complex systems science has the ability to describe dependencies and infer their policy implications. Society is facing a new and unprecedented challenge — responding to its own overwhelming complexity. The structure of our society must change. The solution: teamwork. Since time immemorial humans have complained that life is becoming more complex, but it is only now that we have a hope to analyze formally and verify this lament. This article analyzes the human social environment using the "complexity profile." The Zika virus spreading through the Americas has been linked to a rise in birth defects. NECSI has drafted a response plan for affected communities. In the era of global connectivity, it is easier than ever for epidemics to spiral into pandemics. NECSI analysis shows how best to contain them. 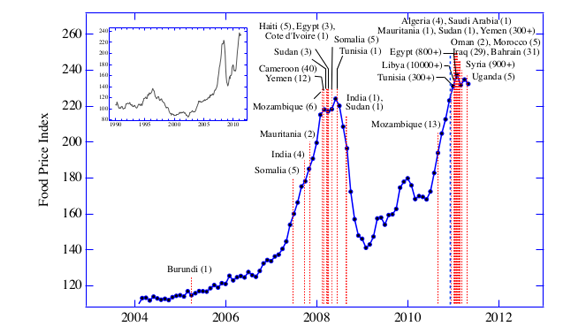 Increases in food prices have driven vulnerable populations to desperation. NECSI analysis reveals two main forces driving the global food price upward: ethanol conversion and speculation. This work has direct and immediate policy implications.